The wait is over. I can finally stop staring into the softly lit biltong machine with longing and desire. The biltong is done and yum. My dog gives it her paw of approval too. She’s pretty much the fussiest eater on earth so if she says it’s good- it’s good. 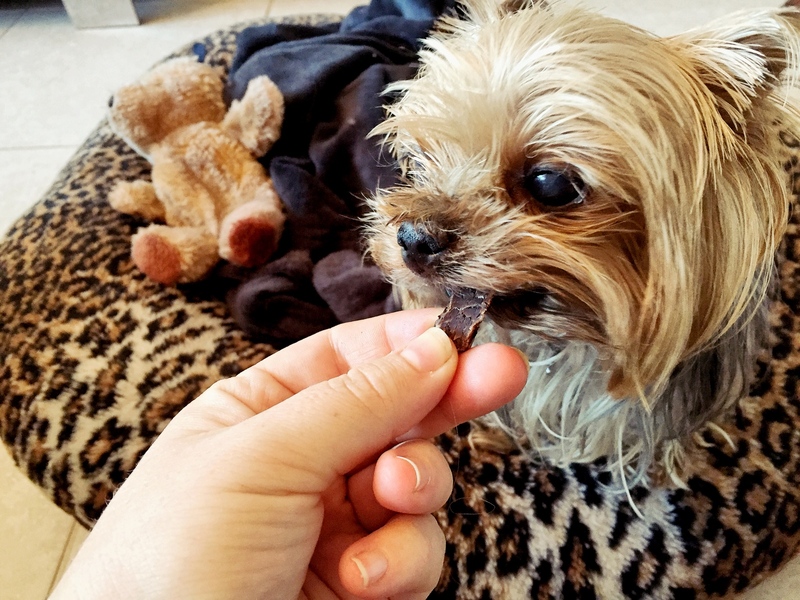 Now I thought it would be a tad boring just showing you pics of me gorging myself on biltong. Aint nobody wanna see that. So I thought of what a good South African meisie would make with biltong. For future reference I am not a big fan of cooking or baking or doing anything with biltong other than eating it! But I sacrificed my beliefs for you. 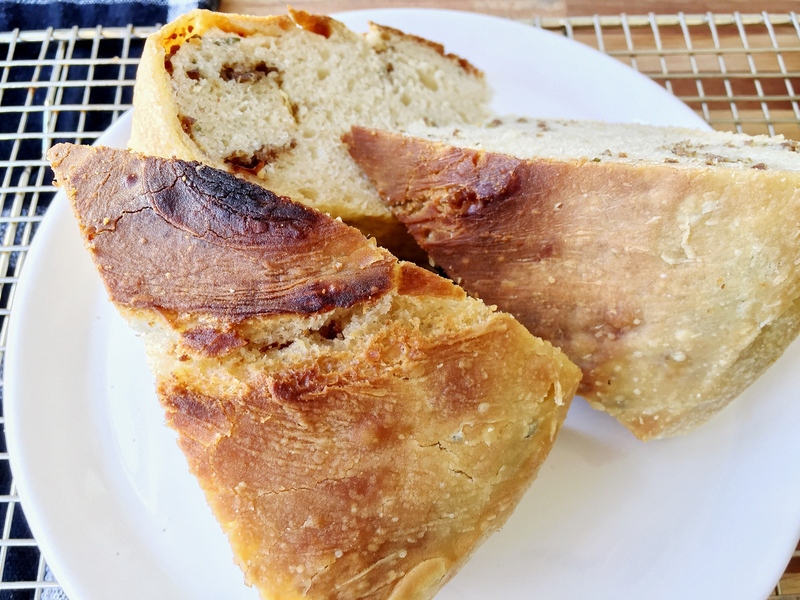 So I made some biltong, feta and spring onion stuffed bread. 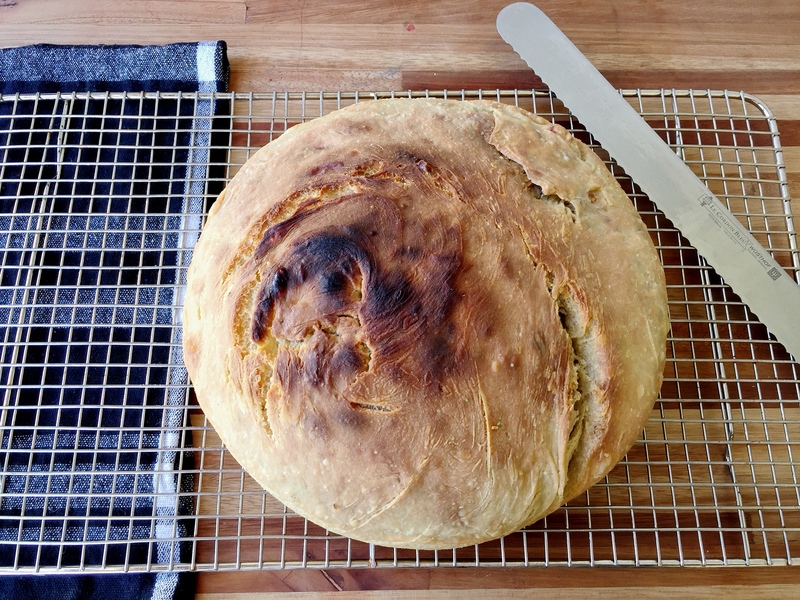 It’s a very basic ‘I need freshly baked bread fast’ recipe. No starter needed, no 24 hour proofing time. So don’t expect artisan sourdough. 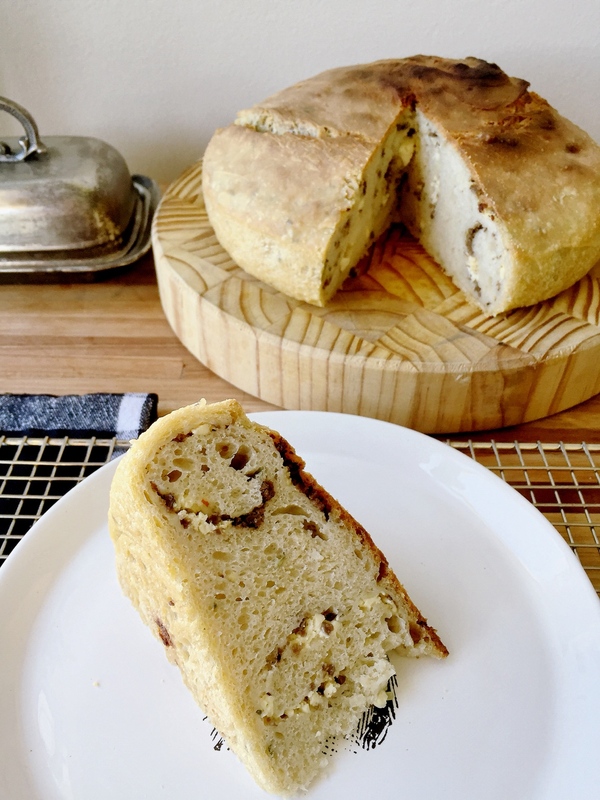 Expect warm, soft and squishy loaf with a satisfying crust and ever so good with a swish of butter on top. Weigh out all your ingredients. Place yeast, salt and sugar together in a small mixing bowl and add 300ml of the warm water. Mix well and let stand to activate the yeast. It will become foamy and frothy. 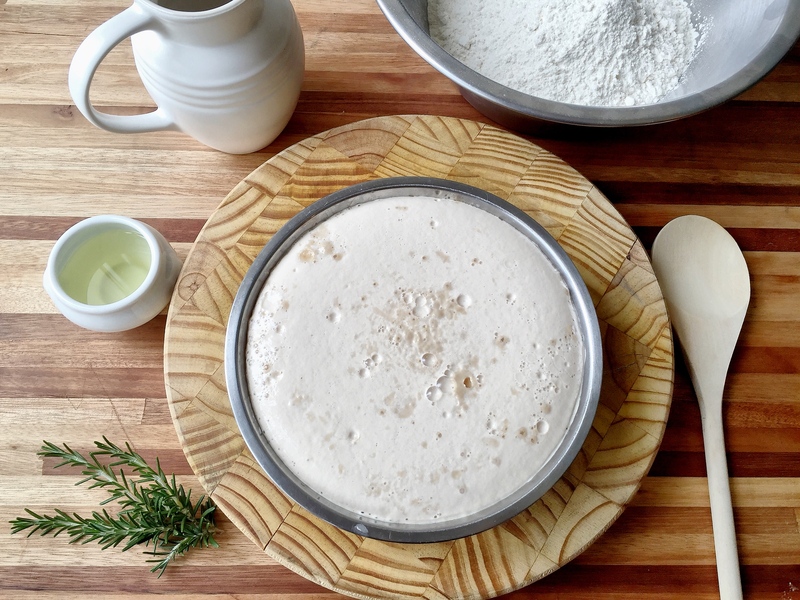 Make a well in the centre of your flour and pour in yeast mixture. Work that in with a wooden spoon. Add butter and herbs and continue to work in well. I used rosemary in this one but thyme or oregano would also work beautifully. Your dough should be wet and sticky if not add a touch more of the warm water. 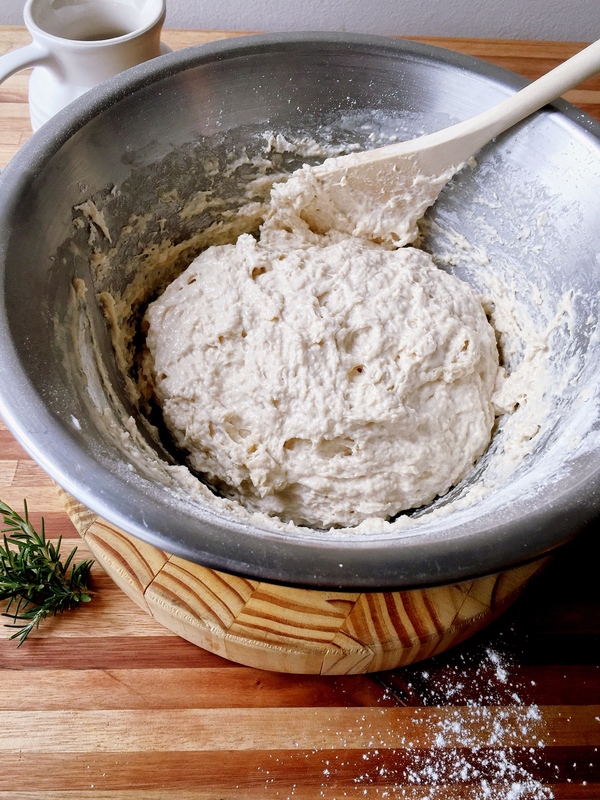 Now roll up your sleeves and start kneading or if you’d rather boil the kettle and make a cup of tea, pop your dough into a stand mixture fitted with a dough hook attachment. 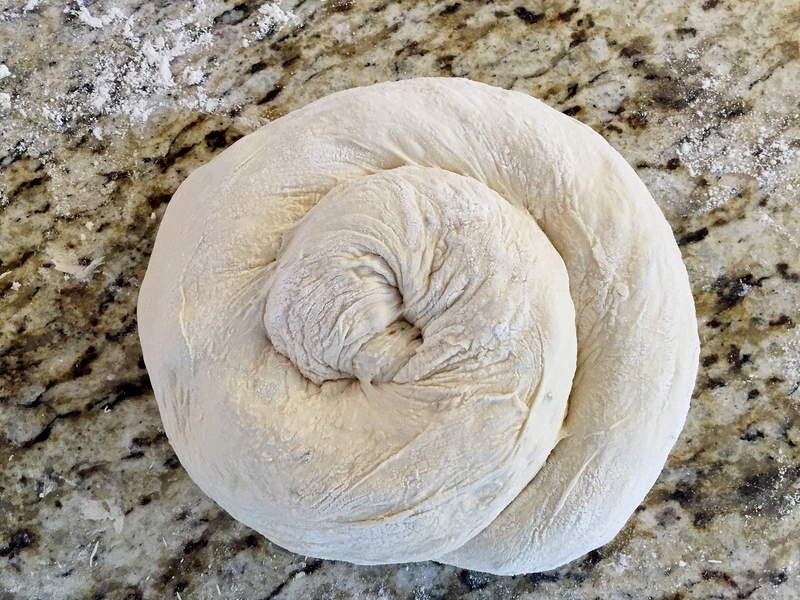 The dough will start coming together and appear smoother. If kneading by hand this should take about ten minutes. 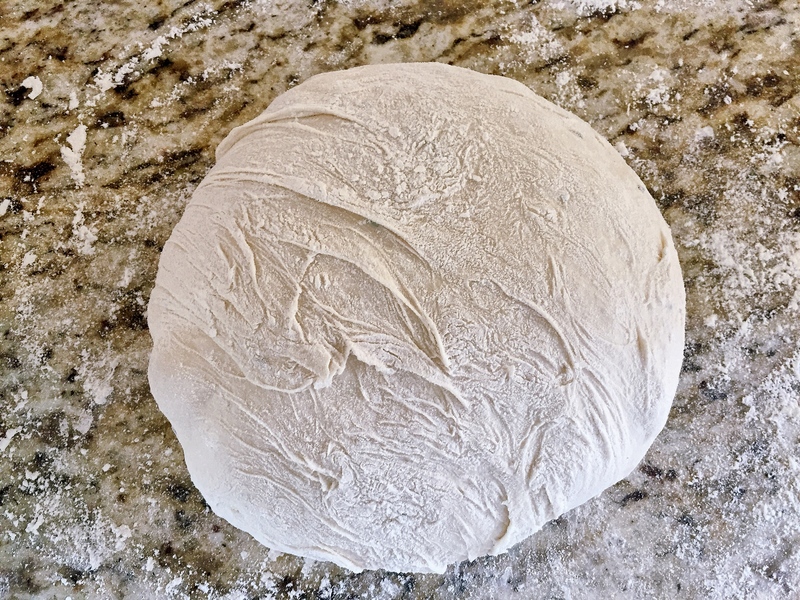 Place dough onto a floured surface and bring it together into a ball. Grease a mixing bowl, add your dough, cover with clingfilm and place in a nice warm spot for about two hours. Your dough should double in size. 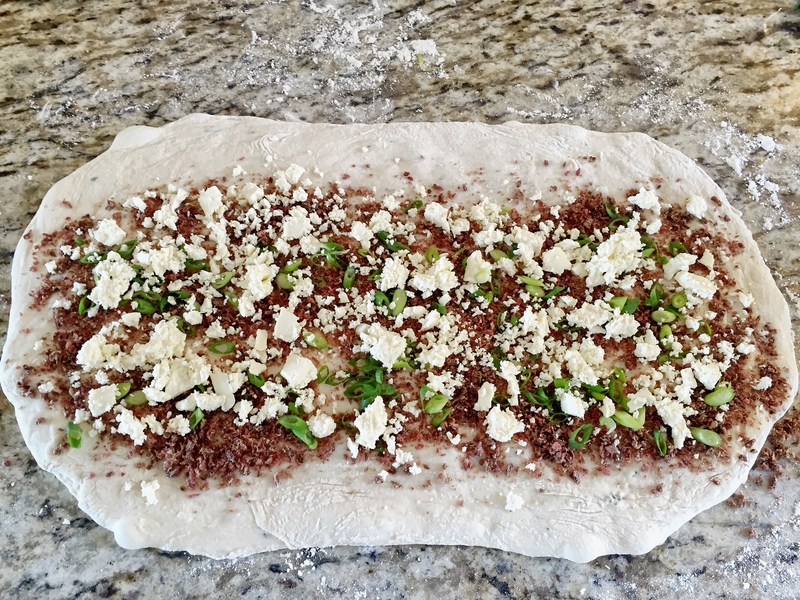 Turn out onto a floured work surface and using your hands begin to stretch the dough into a rectangle. It will keep ‘pulling back’ from you so keep pressing and stretching until it stays. 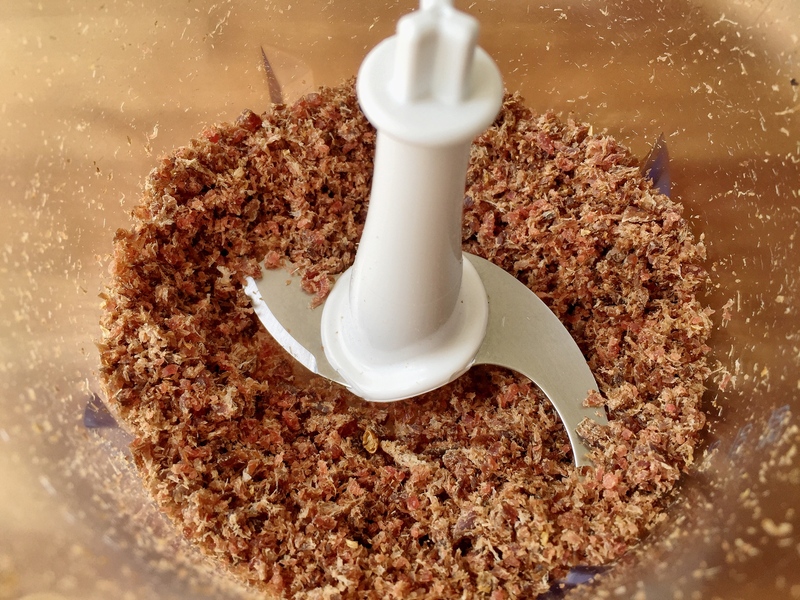 To get a good even spread of biltong, roughly chop it up and place into a food processor. I have a little Kenwood stick blender that has a bowl and blade attachment and did the job perfectly. 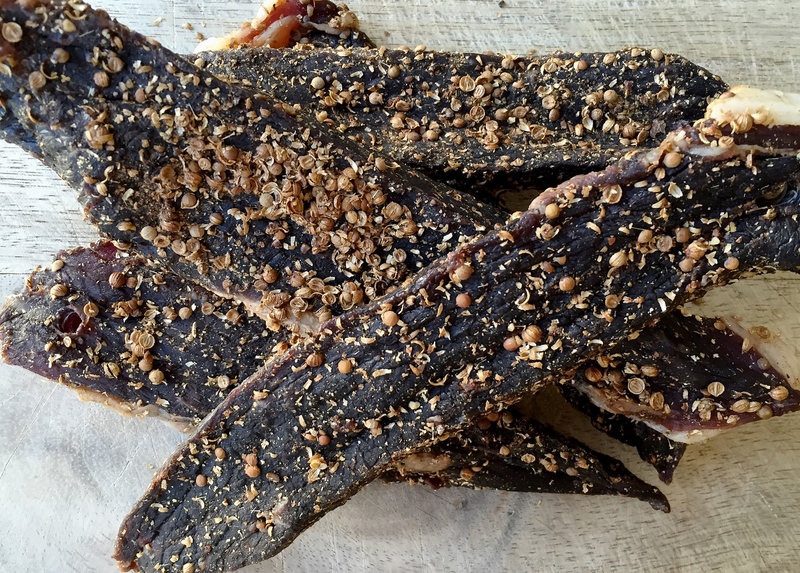 Process into biltong ‘crumbs’. Sprinkle your biltong over your rectangle of dough leaving 1cm clear on the edges to seal up and close. 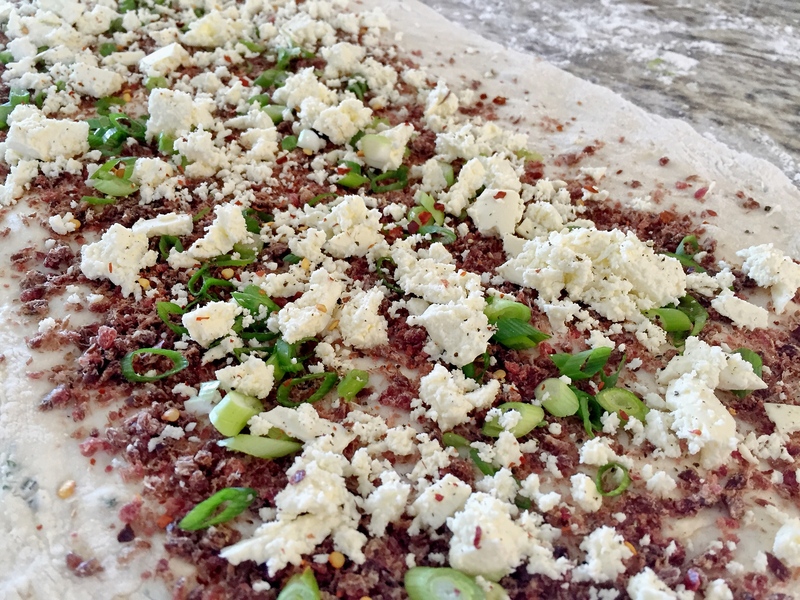 Add your finely sliced spring onions and crumble the feta evenly. Depending on your taste preferences, give a generous sprinkle of dried chilli flakes and some freshly ground black pepper. Carefully transfer into an oiled cast iron pot. 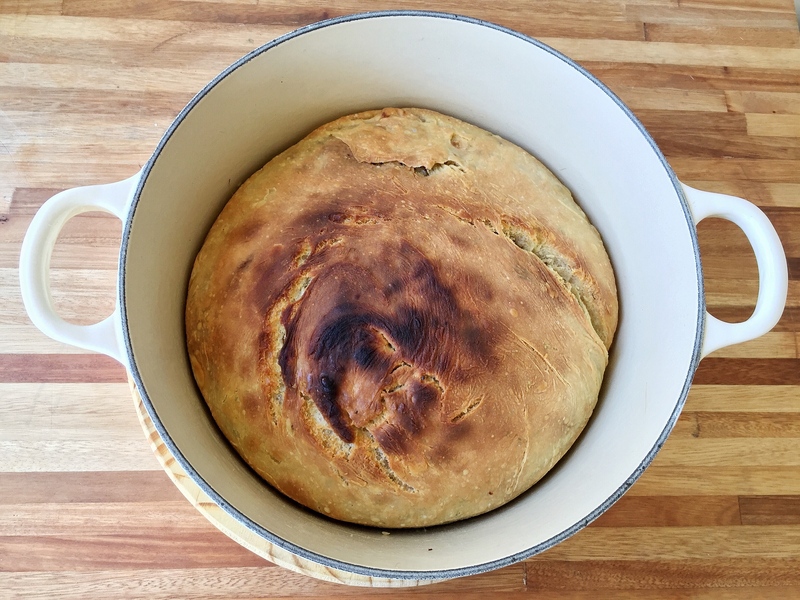 This has now officially become pot bread! 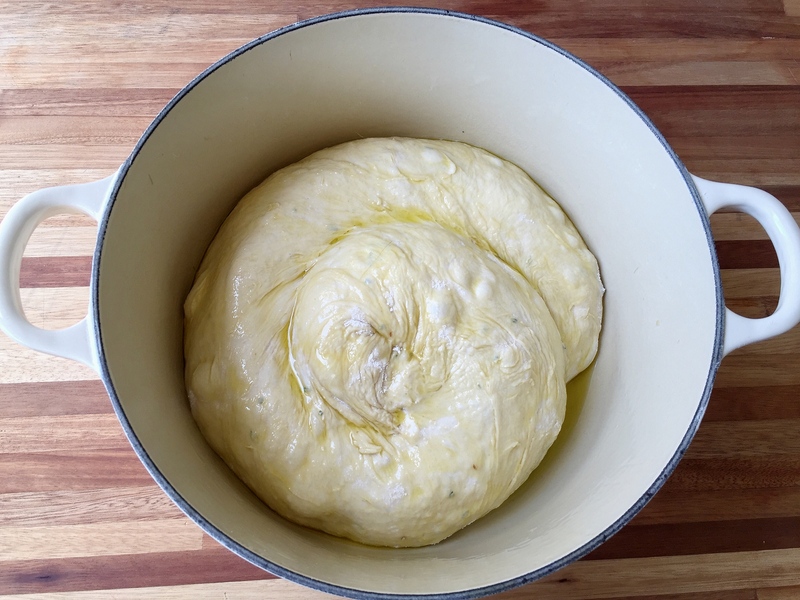 Brush some olive oil onto your dough and let it stand for a further 30-60 minutes until puffed up again. Place pot into a 180˚C pre-heated oven for approximately 45 minutes, or until cooked through. I cranked the oven up at the end just for some extra colour. Remove from the oven and cool slightly. It should pop out really easily and place onto a wire rack to cool. Slice and serve with a swish of butter or as an accompaniment to hummus, tapenade or your favourite dip. 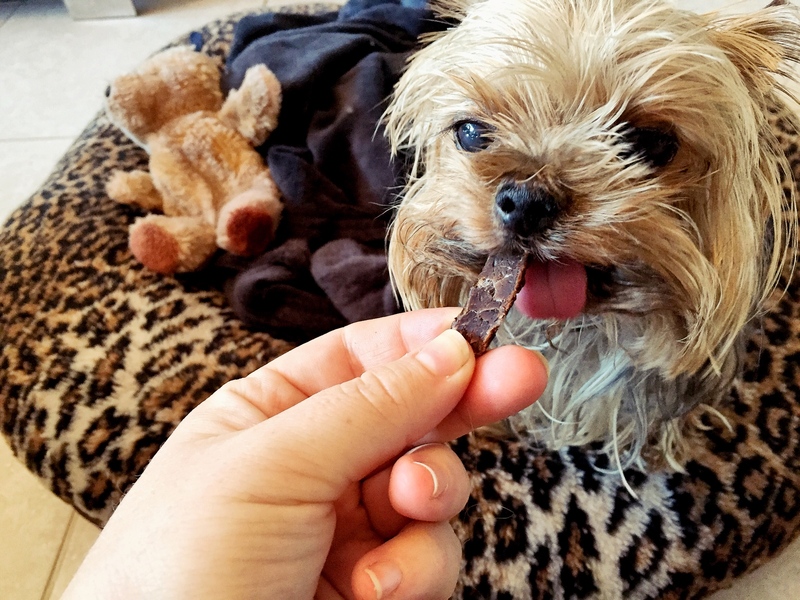 And just one more of fluff munchkin eating biltong- because she’s just the cutest thing ever.